I am definitely not a cold weather person. Give me a hot beach over a ski slope any day. But it's November and I live in Canada (why, again??) and if there is one thing that brings me comfort at this time of year, it's the food. I just can't say no to all the baked goodies and hearty meals that cold weather brings, so I try and find ways to cut calories here and there. 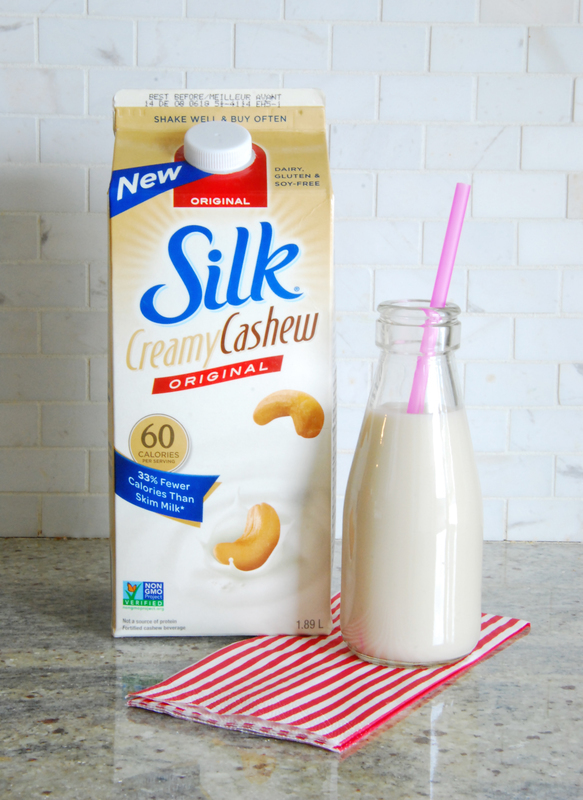 When Silk Canada reached out to me to try their new Silk Creamy Cashew, I was intrigued. I'm a huge fan of their Almond Coconut blend (love it in smoothies with banana and pineapple) and so I thought I'd give this new product a try. First, I tried it on its own (in a cute milk bottle, of course!). I found it flavourful and creamy and not thin or watery at all. Silk Creamy Cashew has 33% fewer calories than skim milk but as much calcium as dairy milk, with only 60 calories per serving. As a drink, I prefer the taste of the Almond beverages but wondered how this creamier variety would taste in a recipe. 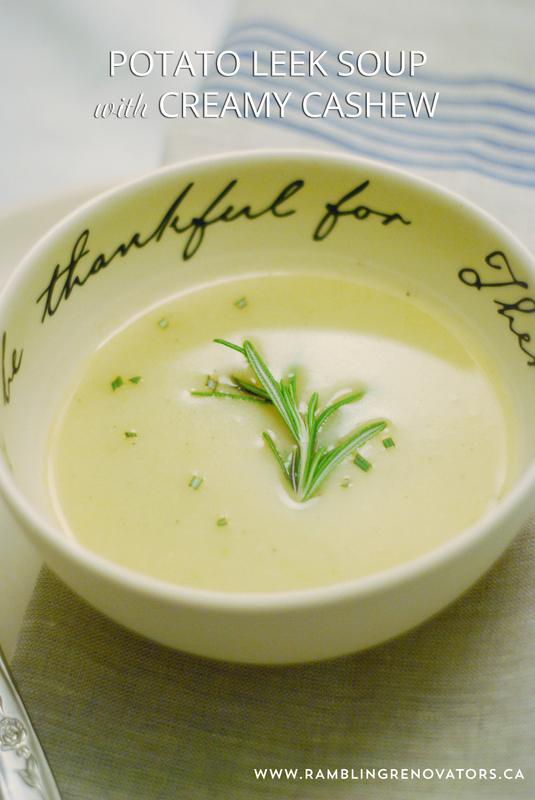 It's suited to dishes like ice cream or mashed potatoes so I decided to try it in one of my all-time favourite recipes, Potato Leek Soup. I love this recipe but I always feel a tad guilty when I have it - I normally use heavy cream and you can definitely taste every calorie in each spoonful! The Silk Creamy Cashew was a surprisingly delicious substitute. The soup wasn't as heavy but retained its creamy flavour and texture. Season to taste with salt and pepper. Add in the Silk Creamy Cashew and heat until warmed through. 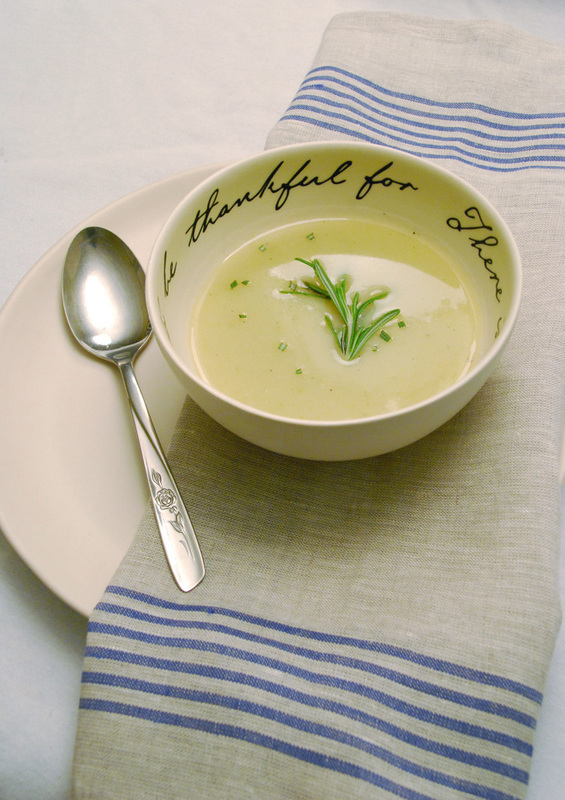 Ladle into bowls and serve. Mmm, soup. I'll have to try it in more recipes. Maybe a different smoothie. Do you have any favourite smoothie recipes to share?